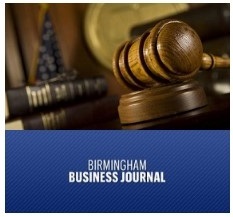 The Birmingham Business Journal (BBJ) recently compiled its annual list of managing partners, shareholders and members of Birmingham's largest law firms titled "Who's Who in Law." Of the twenty-nine legal leaders honored, twelve (forty-one percent) are graduates of Cumberland School of Law, seven (twenty-four percent) are graduates of the University of Alabama School of Law, four (thirteen percent) are graduates of Vanderbilt Law School, and one graduate each respectively from Duke University School of Law, Harvard Law School, University of Tennessee College of Law, Tulane University Law School, University of Virginia School of Law and Wake Forest University School of Law. Cumberland graduates include Walter W. Bates of Starnes Davis & Florie LLP, Roger L. Bates of Hand Arendall LLC, Todd Carlisle of Sirote & Permutt PC, Lee Clanton of Porterfield Harper Mills Motlow & Ireland PC, Jay Clark of Wallace Jordan Ratliff & Brandt LLC, Ernest Cory of Cory Watson PC, Timothy Davis of Heninger Garrison Davis LLC, Jeff Friedman of Friedman Dazzio Zulanas & Bowling PC, Thomas C. Logan of Carr Allison, Alton B. Parker, Jr. of Spain & Gillon LLC, William Lee Thuston of Burr & Forman LLP and James Walsh of Rumberg Kirk & Caldwell. Click here to read the full article.